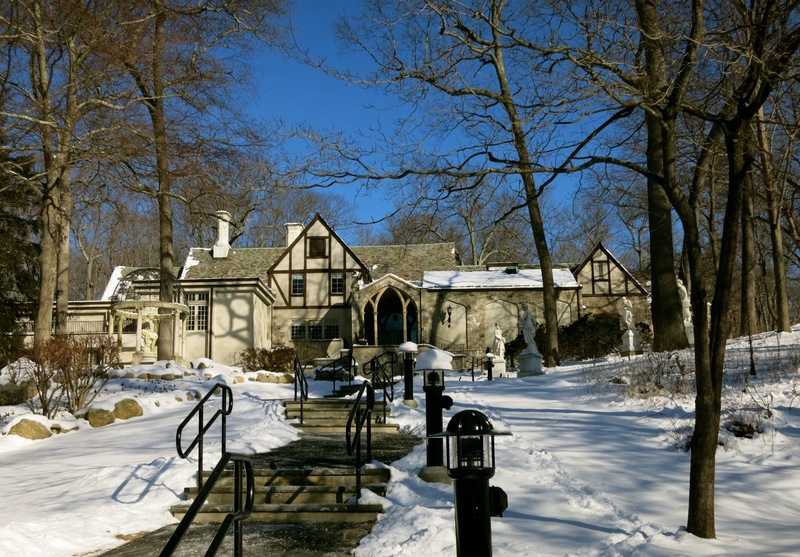 VISIT: The Stamford Museum and Nature Center. This treasure of a local attraction is worth a morning or afternoon, if only to engage in meaningful eye contact with two acrobatic otters that implore you to stay in their homey enclosure. “Don’t leave us,” their antics beseech. But you must, in order to see all there is to see in this complex that includes an art museum lodged within the former country home of retail mogul Heni Bendel, a “heritage breed” farm housing a corps of barnyard animals from bygone days including a dozen breeds of chickens, pigs, sheep and bovines, nature trails that feature sculptures and wildlife, a “Nature’s Playground” that allows kids (and kids at heart) to sprawl out in an “hawk’s nest,” and an observatory with a 22 inch telescope open to the public most Friday nights. There’s always some goat or lamb, piglet or calf being born in the Spring, a season that also brings the popular Sheep Shearing Festival. Programs abound, for kids and adults, but if time is short, stare down “Big Sis” – the resident 800 lb pig, and of course, be sure to say goodbye to the otters when you leave. 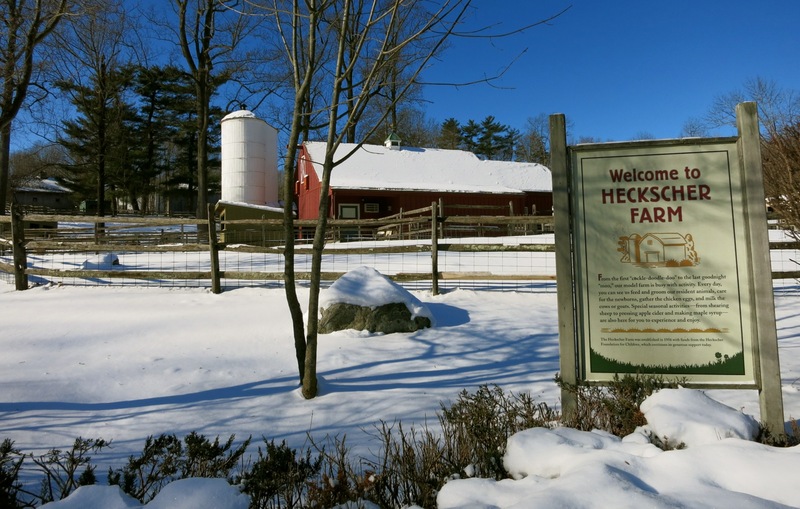 Heckscher Farm, Daily 9 am – 5 pm; April – October, Daily 9 am – 4 pm; November – March, Bendel Mansion & Galleries,Mon.- Sat., 9 am – 5 pm; Sun., 11 am – 5 pm, $10 adults, $5 kids. WALK: Bartlett Arboretum and Gardens. Trails throughout the 91-acre tree sanctuary lead past lawns, woodlands and brooks. If exotic species of plants and trees are your thing, an afternoon here will offer pure bliss. Open daily from 9am until sunset, $5 donation. 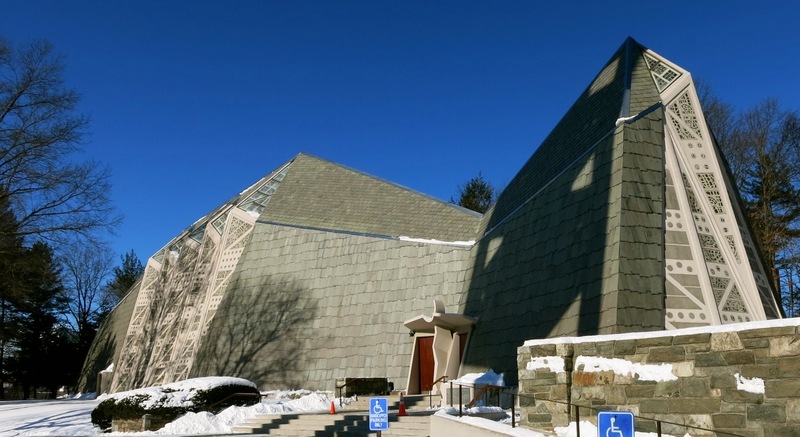 VISIT: First Presbyterian Church AKA “Fish Church.” It’s immediately obvious that this church was built in the shape of a fish: this out of the ordinary design is what most people see when they pass by on busy Bedford Street. But step inside and you are suddenly in the center of a massive kaleidoscope. Designed by Wallace K. Harrison – the architect who led the multinational team that designed the UN Building in New York, and who also had his hand in building Rockefeller Center and Lincoln Center – this stunning sanctuary opened in 1958. 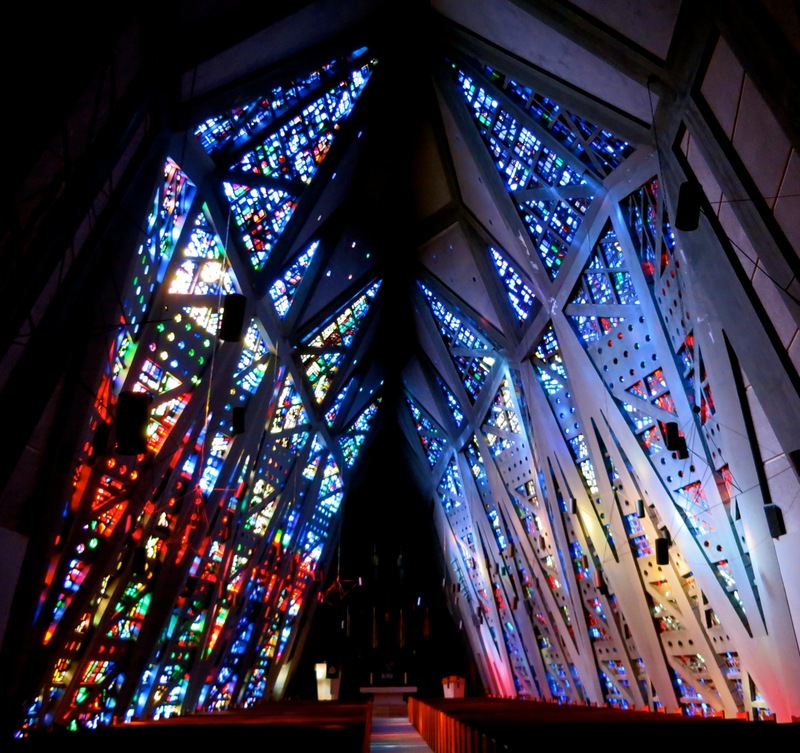 With more than 20,000 individual pieces of faceted stained glass set in concrete, it’s truly like being inside a work of art. Even if you are of another faith, come to hear the thunderous tones of the Visser-Rowland pipe organ, containing over four thousand pipes; spine tingling in this magnificent space. Click here to see astonishing aerial and interior views of the Fish Church taken via a drone with attached camera. Open daily, free. VISIT: Stamford Art Association Townhouse Gallery and Franklin Street Works. Side by side, in renovated row homes across from the Stamford UConn campus, these two art venues are “friendly” but separate neighbors. Stamford Art Association showcases the creations of local artists in two small galleries– changing shows seven or eight times a year – and all art is for sale. Relative newcomer, Franklin Street Works, focuses on contemporary, experimental, highly conceptualized multi-media works, arranged by professional museum curators in several galleries. An on premises café offers free wi-fi, outdoor seating, and potential for animated discussions about the meaning of life and art. Stamford Art Assoc hours Thurs/Fri 11-3, Fri/Sat Noon-3, free. Franklin Street Works and Café, Wed-Sun 12-5, Thurs. open till 7pm. Sandwiches and salads $7-$10, wine and beer offered. DO: Sail on The 80 ft. Schooner SoundWaters. Plying the waters of Long Island Sound from April to November, this floating classroom offers two-hour public afternoon and sunset sails. Hoist canvass to the rhythm of sea chanteys and watch as lobsters, seastars and jellyfish are brought on deck, studied and released. 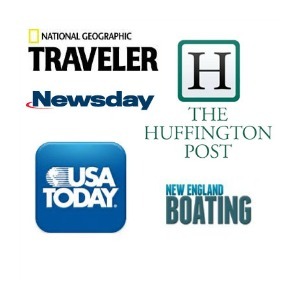 SoundWaters seeks to protect the Long Island Sound through education, and when you’re out on the water, you’ll see why. This Atlantic Ocean estuary is one of the most scenic bodies of water on earth. April – Nov, two-hour cruises $40 adults, $20 children 5-12. Check website for schedule. 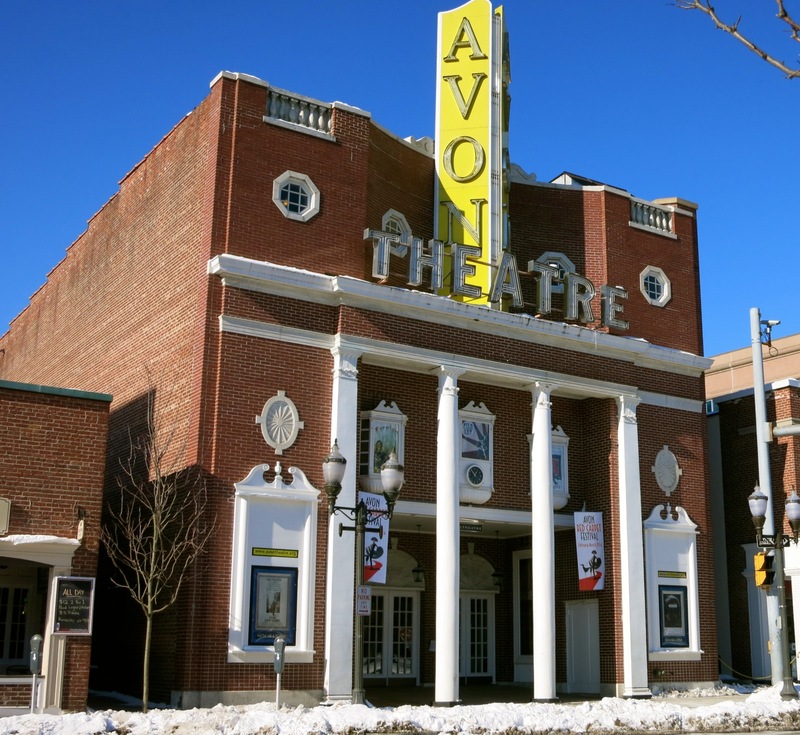 SEE AN INDIE MOVIE: The Avon Theater. Before his death, resident notable, Gene Wilder, sat on the board of this independent arts movie theater, and every so often he’d participate in a Q&A after one of his “Wilder’s Picks.” This area of the country is replete with big and little screen actors who just “vant to be alone,” but every so often one will be tapped to speak before or after a screening of a movie that he’s directed or starred in. Frank Longella discussed “Starting Out in the Evening,” and Charles Grodin told an intimate audience what it was like to work with Robert DiNiro in “Midnight Run.” Though DiNiro hasn’t made an appearance onstage here, he has filmed a couple of movies in Stamford – so perhaps its just a matter of time. RIDE: The Harbor Point Trolley. Park your car once in Stamford and you can get to most attractions and restaurants on the FREE 14-stop Harbor Point Trolley. This new bus is a boon to residents and visitors – bringing you from downtown theaters and eateries (and the great Ferguson Library) to Fairway and the waterfront. Check it out and ride it just for the kicks! DRINK: Half Full Brewery. Here’s your chance to visit and sample homegrown, craft brews. 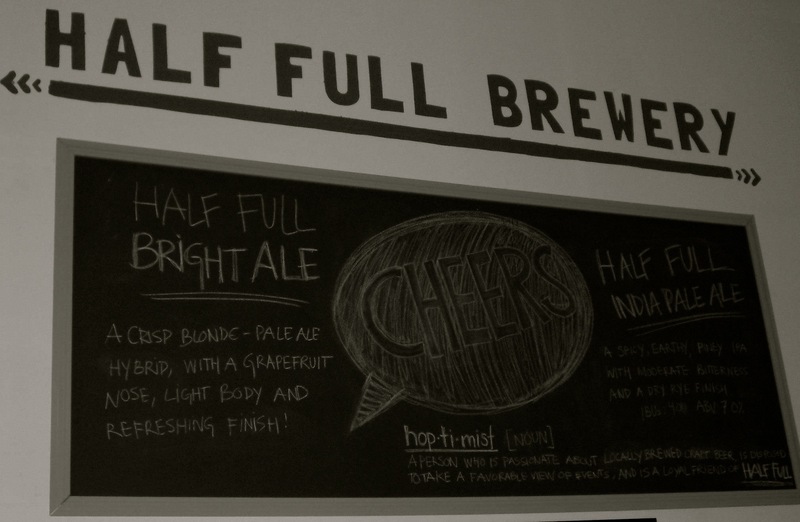 Established by young Conor Horrigan, who dumped his Wall Street job after an epiphany on vacation in Peru, Half Full has been a Stamford sensation since it opened its doors – offering some of the freshest and tastiest beers around. I’m partial to the creamy Half Full Chocolate Coffee Brown Ale. Open Thus and Fri. 4-9, Sat 12-9, Sun 12-5 for tastings, tours 2 and 4 Sat/Sun. EAT: Roasted. These days, when everyone seems to be opening a “make-your-own” cafeteria-style eatery, Roasted, on Bedford St. in Stamford stands out for its full bar (novel in the fast slow-food space) and a variety of meats slow-roasted by owner Bill Hall. Bill starts roasting the turkey breast, pork, and beef at the “time-to-make-the-donuts” hour of 4:30am each and every day. Bill’s wife, Kristin, with a Masters in Neuroscience, brings her love of the scientific method to their restaurant. Diners “Build” their meals by choosing a “Bottom” – either rolls or salad/grain bowls; a “Middle” – from a roster of roasted meats including Italian herbed pork loin, jerked chicken, chile sugar brisket, and now roasted salmon (my personal favorite) and for the vegan in your life – BBQ Tofu. For the “Top,” you choose from dressings and foodstuffs that have been life-lab tested for perfectly balanced combinations of textures and flavors. The meat, fish, and tofu rolls and bowls are incredibly tasty but you CANNOT leave without ordering an outrageously fantastic Ice Cream Sandwich – Chocolate Chip, Vanilla Sugar, or Oatmeal Raisin cookies encasing some of the best homemade custard-based ice cream on the planet. At only $6 each, these sweet treats are worth stopping in for even if you skip dinner. EAT: Bar Zepoli. When chef/owner Tony Grecco saw this space (formerly Napa) smack dab in the middle of downtown Stamford, between two cineplexes, around multiple restaurants, and attached to a hotel (Courtyard by Marriott), he jumped at the chance to open his Italian-American food spot here in 2017. It’s not like there’s a dearth of Italian restaurants in these parts: throw a stone and you’ll find a pasta-pizza place. But Bar Zepoli is somewhat different in that Grecco wants to “reintroduce Sunday dinner to Millennials,” offering what can only be described as comfort food as good as Nonna used to make, along with a long list of fun and delish craft cocktails. So, here we have the ethereal, light as helium Nonna’s Meatballs ($14), and oven-baked Pasta al Forno ($22) – both outstanding. The popular, crowd pleasing free-range-Chicken Scarpiello ($24), and Risotto of the Day prove the chef’s chops in the kitchen. House pizzas are modeled on the chewy, charred, and blistered crust Margherita version from 220 year old Pizzeria Brandi in Naples – a good call in this thin-crust-pizza-manic world. And you can’t turn away from the selection of cheesecakes, mousse pies, and other Italian-American favorites – all heavenly. EAT: Soosh – now located at the Stamford JCC. I don’t usually get all hyped up about sushi places, but this one – certified Kosher at that – surpasses most, if not all (mostly unkosher) places I’ve ever experienced. The Specialty Rolls ($14-$18) are my favorite – amalgams of sweet, salty, soft and crunchy fish and vegetables of the highest and freshest quality. For those who want their fish cooked, Soosh also provides toothsome white fish, salmon, cod and sea bass dishes along with soups, salads and special vegan meals. EAT: Teff. This Ethiopian grain has been called a “superfood,” “the new quinoa” and so many other superlatives, you’ll feel healthy just dining on the spongy teff-based bread (injera) alone. But this bread is merely the delivery device for the excellent stews and warm salads the emerge from the kitchen. 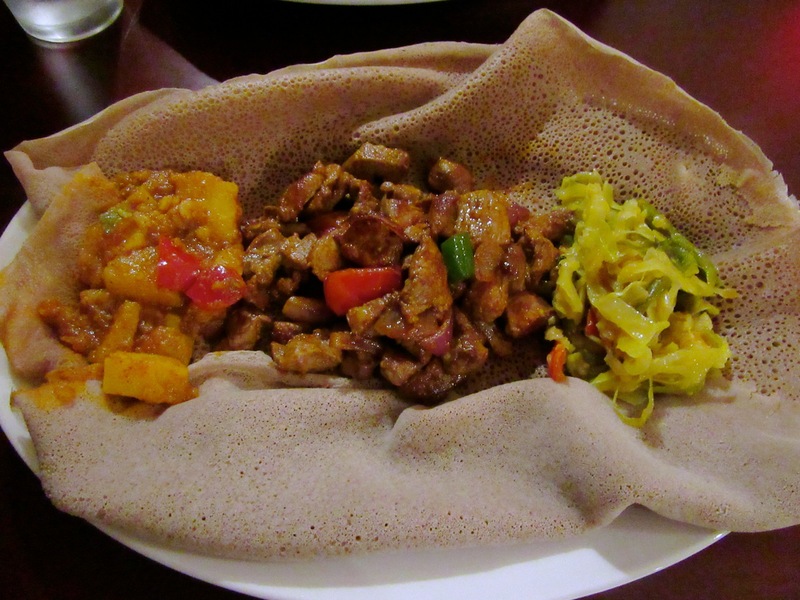 Vegans will adore all the vegetarian offerings, which make great use of beans, greens and other veggies ($17 includes four small portions and two injera). Meat lovers won’t feel left out either, with tasty chicken, beef and lamb on offer ($23 for spiced lamb cubes and two vegan dishes). For now Teff is awaiting its liquor license so bring your own bottles of wine, and they’ll supply the stemware (no corkage fee!). 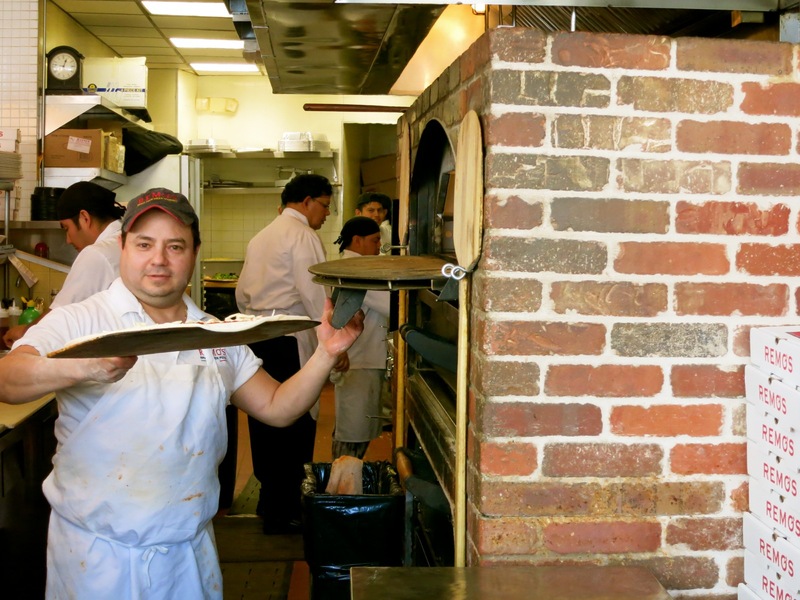 EAT/BUDGET: Remo’s Brick Oven Pizza Co. It’s not fancy or (thankfully) pricey, but Remo’s was purported to be one of Bobby DiNiro’s favorite hangouts while filming in town, and it’s my favorite “neighborhood” brick oven pizza joint. Of course the pizza’s great, but I’m partial to Remo’s Chicken Balsamic – a mélange of boneless chicken breast, sliced portabella mushrooms, and sundried tomatoes over penne pasta, tossed with a balsamic glaze I apparently can’t resist ($17.95). All fish, chicken and veal entrees are under $20, a bargain in this Gold Coast city. EAT: Brasitas. 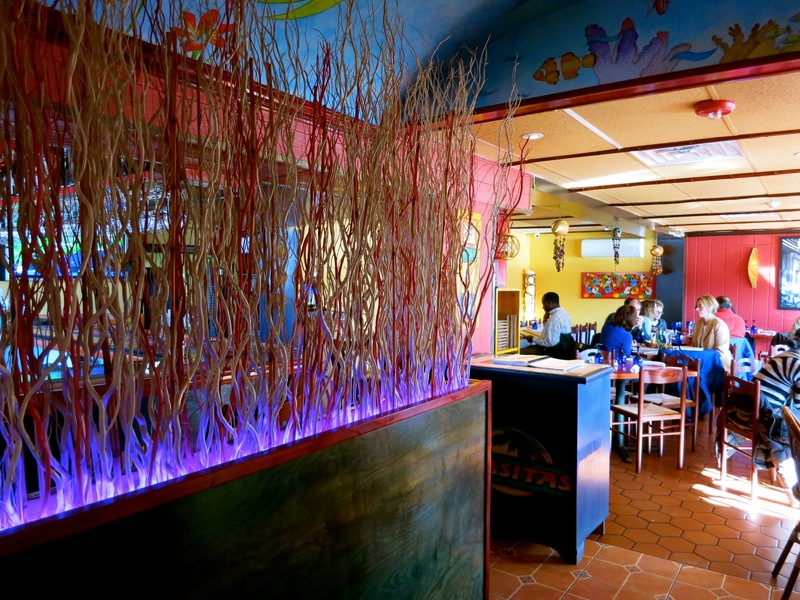 This tiny Latin Fusion restaurant used to be that hidden aesthetically pleasing hole in the wall that no-one outside of Stamford knew about but where we all took our out-of-town friends. On busy Route 1 near car parts stores, you could park on a side street and just walk in for one of the best meals in Fairfield County. Those days are gone, and though the food remains incredible, you’ve got to call days in advance for a reservation and hand your car keys over to a valet when you arrive. I still take my out of town friends there, and meet other in-town Brasitas loving friends just so I can get my Carne Asada fix: pan roasted Black Angus hanger steak with smoky chili emulsion ($25). EAT: EOS Greek Cuisine. If your only exposure to contemporary Greek cuisine has been through your local souvlaki-slinging diner, this sophisticated spot will be a revelation. Salads, tzatsiki, hummus, moussaka are farm-to-table fresh, and dishes like Lahanodolmathes – a ground beef and rice stuffed cabbage leaves with creamy lemon sauce ($18) bring regional Greek cooking up an epicurean notch or two. STAY: HOTEL ZERO DEGREES. There is one groovy boutique hotel in Stamford, CT, re-adapted from a well-used YMCA dorm and now a Best of New England Travel award-winner. Never mind that Zero Degrees is on a busy road. Serene piped-in house music neutralizes street and city noise, and a patina of cool (Designs Within Reach furniture, black and red leathers, muted copper color scheme) neutralizes roadside urban hazards, real or perceived. Rooms are outfitted with all the elements of a true boutique; leather headboards, inviting throws artfully folded at the foot of white-duvet clad beds, one saturated-color wall for punch, Porcelanosa bathroom tiles, and locally sourced art. Flat screen TV’s and free wi-fi round out the great, comfy deal. Rates from $139 include hot breakfast buffet, free wi-fi, state of art fitness center, newspaper, Starbucks coffee. STAY: Crowne Plaza Stamford. Though not a “boutique hotel” – the Crowne Plaza is the hotel of choice for most who come to town for Bar/Bat Mitsvahs and weddings, as it’s centrally located, reasonably priced, well kept up, clean and ultra comfy. Most dramatic is the center-court lobby, which rises several stories and is lit up at night in neon purple. Room rates begin at $125 per night, includes wi-fi. Parking $10 per night. 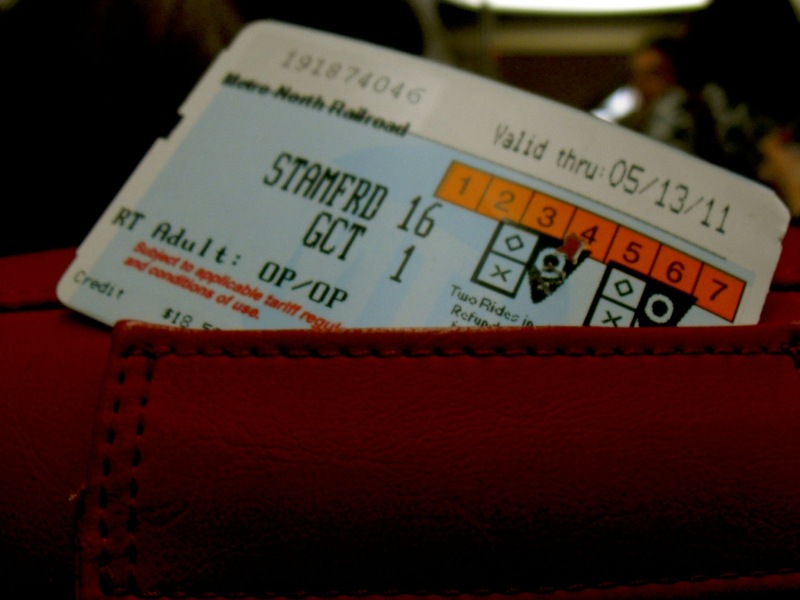 I’m glad to see Stamford getting some recognition – it has evolved far beyond merely a commuter holding spot into a place with a vibrant and unique culture. Arguably Connecticut’s most pleasant and walkable city as well.